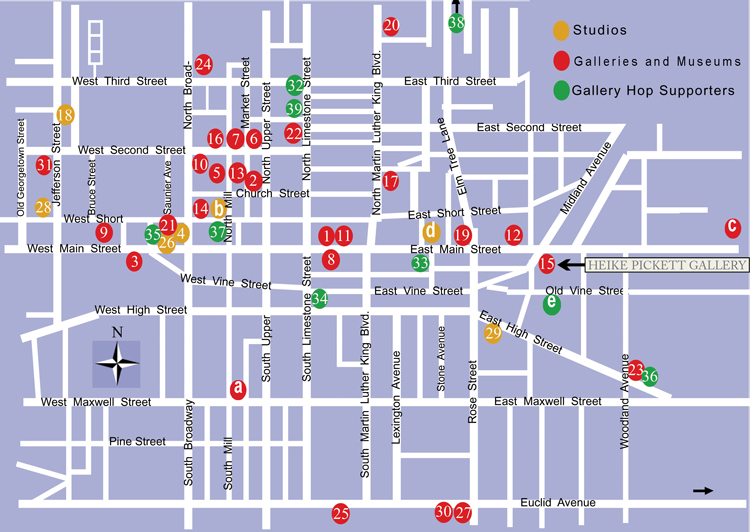 Now into its second decade, Lexington’s Downtown Gallery Hop continues to be one of the city’s most entertaining attractions. Five evenings a year the connoisseurs, the collectors and the curious enjoy open house hospitality at dozens of galleries, museums, artists’ studios, shops and restaurants throughout the downtown area. Gallery Hop was organized to highlight the work of outstanding visual artists from the region and beyond and to encourage people to acquire original works of art.